In the Czech case, the question of the country’s name is a somewhat complicated matter. The official name in the English language is “the Czech Republic”, and for many years, English speakers and learners were told for some reason that this was the only way to call this nice country in Central Europe. “The Czech Republic” is simply a translation of the Czech official name: Česká republika. The Czech Republic consists of Bohemia, Czech Silesia and Moravia. These three historical Czech lands are mentioned in the country’s constitution and their symbols appear in the coat of arms of the Czech Republic. However, the name “Czech Republic” is tied to the current government form of the country, which happens to be a republic. Problems arise, if you would like to refer to the same place during the times when the Czech Republic didn’t exist or when the current form of government evolves into something else. For example, during the existence of Czechoslovakia, where did all its citizens who didn’t live in Slovakia live? From 1968 until 1990 there was the Czech Socialist Republic and until 1993 the Czech Republic within Czechoslovakia. But before that? You might say that they lived either in Bohemia or Moravia or Czech Silesia, but that is quite complicated and very inconvenient. Or “in the non-Slovak part of Czechoslovakia”. But that is even worse. Much worse. What if the current political system evolves from a republic into something else? After the Velvet Divorce of 1993, Czechoslovakia ceased to exist and two new countries came into being: in the east: the Slovak Republic, called shortly Slovakia, and in the west: the Czech Republic, called shortly … Well, for some reason, we were told that there was no other way to call this country. The French Republic is called simply France, the German Federal Republic is called Germany. But the Czech Republic for some reason was supposed to be the odd one out, without a short name. Does every country need a short, one-word name? Perhaps not, but it certainly is more convenient. You might say that the United States or the United Kingdom don’t have a one-word name. But I would argue that in these two cases the acronyms: the US/USA or the UK fulfill the role of a short name. They are widely known, widely used and quick to pronounce. The acronym for the Czech Republic is not widely used at all. The lack of an established short name in the case of the Czech Republic has led to some horrible phrases being used by some less advanced English learners, e.g. “I went to Czech” (went to check what?) or “I am from Czech“. In 2016, the Czech government started to officially recommend the use of Czechia as the short name of the country in the English language. It doesn’t replace the name “Czech Republic”. It is simply the recommended translation of the Czech word Česko. Not everybody in the Czech Republic likes this word and as a consequence its English translation, though. Because it is similar to Čechy (Bohemia), some people say that this name favors that particular region over Moravia and Czech Silesia. However, the English name Czechia is not the issue. The issue lies in the Czech language. Czechia is possibly the best translation of Česko. If Česko is bad, as some people say, then how come Česká republika is not bad? The same argument about favoring Bohemia applies to Česká republika as well. And what could be an alternative? Českomoravskoslezsko? Such a name might seem logical, but it is simply not used, and if it was, then an English translation would probably be quickly invented and adopted. Česká republika (Czech Republic) in a way “favors” Bohemia, but only in the Czech language, because in English “Czech” is clearly different from “Bohemian”. What about the football or hockey teams representing the country? They are referred to as the “Czech” teams, perhaps because a better term simply doesn’t exist. The name Czechia is related to the adjective “Czech”, in the same way as Slovakia is related to the adjective “Slovak”. If we assume that there is some problem of linguistic or other nature with “Czechia”, then wouldn’t it affect it also the adjective “Czech”, when referring to the country? I’m inclined to think that if Czechia is wrong, then every other name containing the adjective “Czech” would be also wrong (e.g. “Czechlands“). By the way, there is no linguistic problem with the name Czechia, it is a correct way of deriving country names from adjectives in the English language. The regional identities in Moravia and Czech Silesia are quite strong. Some people declare Moravian or Silesian nationality during censuses, others declare themselves as Czechs. “Great Britain” and “British” are umbrella terms for England, Scotland and Wales. There is no similar, neutral umbrella term for Bohemia, Moravia and Czech Silesia that would satisfy everyone. The argument that the name Czechia is too similar to “Chechnya” is ridiculous. The name “Austria” is similar to “Australia”, and so what? The fact that some people are not good at geography should not have any influence whatsoever on names used by countries. Yes, in case you happen to confuse them, Austria is the one without kangaroos and it borders Czechia, by the way :). I have been following this name debate in Czech and international Internet media for quite some time. 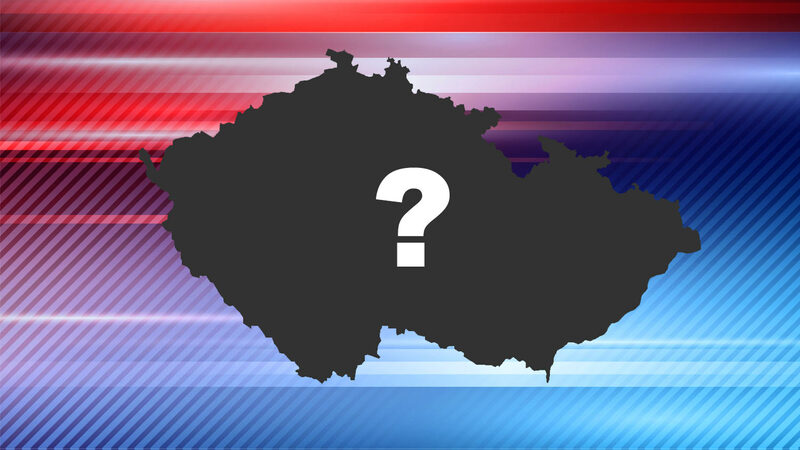 In October 2016 The Guardian published an article titled: Nobody calls it Czechia: Czech Republic’s new name fails to catch on. It is 2017 now and has the name caught on since then? I think yes. I’m seeing it more and more often on the Internet. This website is neutral and completely apolitical. It adopted the official short English name recommended by the Czech government and accepted by the United Nations and major Internet companies. I don’t see any logical and objective reasons why Czechia should be worse than the Czech Republic. I hope that also those people, who are not fond of the name Česko/Czechia, will like this website, called Amazing Czechia. After all, it presents the most amazing places in their country, whatever you want to call it in English or Czech. Czechia /ˈtʃɛki.ə/ (Česko [ˈtʃɛskɔ] in Czech) is an official English short-form and geographical name of the Czech Republic, The name is registered by the United Nations and included in the UNO Gazetteers of Geographical Names (UNO Gazetteers of Geographical Names). Geographic name of the state represents permanency and timelessness of statehood regardless of the current political system. On the contrary, an exclusive use of political name represents transiency, instability and historical discontinuity of the country. Thank you ! Go Czechia ! Thanks for showing us the beauties of Czechia, Tom! Thanks to you, many foreigners can explore this amazing country. Keep up the great work and for sure: use the short name Czechia! ???? Tom, many thanks for absolutely amazing website – great promotion of our beloved Czechia !! It is a pleasure to read an article as reasonable and well-informed as this. Yes, Czechia is the country´s correct and necessary name in the English language. (The equivalents in other languages are very similar.) The more we use it, the sooner it will be adopted by the public. It´s a matter of habit. Nowadays, Czechia can be seen on maps, in international media, etc. quite frequently. So, keep promoting it. Thank you very much for your kind words. I was surprised that there was such a strong opposition to this name and some of the arguments used in various discussions were quite strange. I am sure that the name (or perhaps one should rather say: ‘the official English translation of the short name’) will be widely adopted within a few years. It sounds natural to me and it is much more convenient than the ‘Republic’. Tom I think, that you´ve done a great job. This whole article is well-written and we all thank you for that. Thank you very much Martin for your kind words. This is a very nice summary. From my own experience, I didn’t like the term Cesko, neither Czechia. I got used to it by time. I live in Austria and I really hated the term “Tschechien”. Today I use it exclusively. Ten years from now Czechia will be all over the place and in 20 years will will ask ourselves, why thee has been such long discussions about it. I remember when I was learning English in the 1990s, students were “punished” if they attempted to say “Czechia”. But to many people this name seemed natural, in the same way as Slovakia was the short name of the Slovak Republic. So, I think yes, some people just need time to get used to it. Thank you very much for your comment. Go-czechia.com is indeed an excellent source of information about the name “Czechia”. The purpose of this short article was to familiarize English-speaking readers with this debate from a possibly neutral perspective and to explain why we see the name “Czechia” more often now than a few years ago (and why this name is used in the title of this website). The article from The Guardian was quoted because it had appeared in a very influential newspaper. The point of the quote was to think if the popularity of “Czechia” is greater now than it was one year ago. I think it is. Quoting does not mean endorsing. This sounds like a “recommendation” to me. It might have been the official name, but in practice it was relatively rarely used in the past. Therefore, this “recommendation” was an important step. However, some government organizations still seem to avoid it. Amazing Czechia is currently one of very few active websites which have “Czechia” in the domain name and in the title. This name is also frequently used here in articles about interesting places in Czechia, because this is a site for tourists, most of all.